This course focuses on the differences between rehabilitation programs for chronic obstructive lung disease and restrictive lung disease. This course has been approved by the Alabama State Board of Occupational Therapy for 1.50 contact hours, approval number 20-619036. This course has been approved by the Florida Board of Occupational Therapy for 1.50 contact hours, approval number 20-619036. Oklahoma Physical Therapy Advisory Committee has approved this course under Category B. Approval # 201910310. This activity is approved for 1.50 contact hours. This module is approved for 1.50 contact hours by Florida Board of Respiratory Care. This course is approved by the Ohio Physical Therapy Association, approval number 18S7774. This activity is approved for 1.50 contact hours. 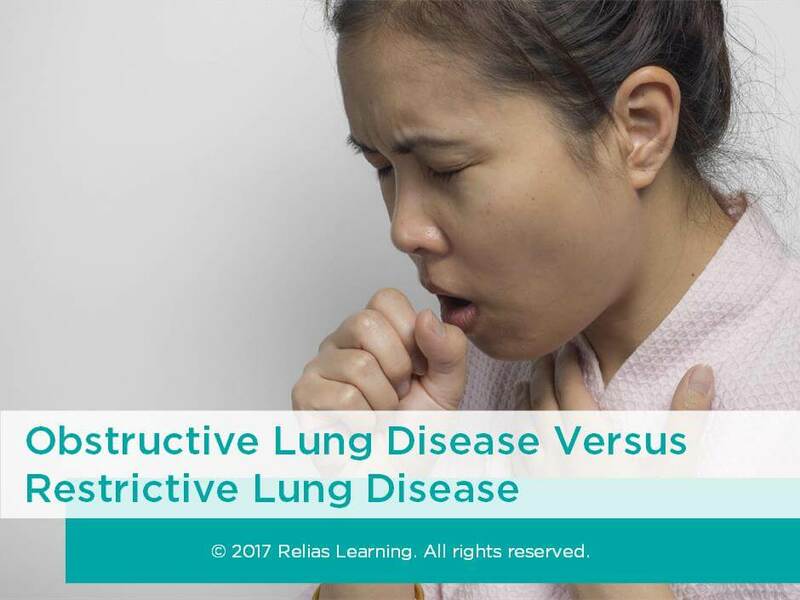 Describe the pathologies of chronic obstructive lung disease and restrictive lung disease. Identify differences in the educational components of a pulmonary rehabilitation program for patients with chronic lung disease versus restrictive lung disease. Describe exercise prescription considerations for patients with chronic obstructive lung disease and restrictive lung disease. The target audience for this course is: entry level Occupational Therapists; entry level Physical Therapists; entry level Respiratory Therapists; intermediate level Dietitians; intermediate level Nurses; in the following settings: Rehabilitation Settings.